Oatmeal baths are wonderfully slippery and mucilaginous helping to nourish skin while soothing dryness. The addition of cinnamon and roses makes the bath warming while it gently stimulates the immune system. Perfect for winter! This bath could not be any easier to make and it is a joy to experience! It has three simple ingredients - rose petals, cinnamon and oats - though you can get fancy and add in some of the extras listed below if you wish. This makes enough for 2 nice slippery baths. Mix everything together and you are done! Make bath sachets by scooping your mixture into cheesecloth, muslin bags or even nice clean socks (tie off at the top) so that your oatmeal bath will be ready to go at bathtime. Or simply store in jar and bundle you the mixture when you are ready to bathe. To take your bath: Fill up your tub with the hottest water you can get from the spout. Add the bath sachet and wait for the water to cool to a nice bathing temperature. While you are waiting for the water to cool, you little sachet will be infusing making a lovely herbal “tea” right in the tub. When the bath is cool enough, slide in and enjoy! Be sure to squeeze your sachet to liberate the slippery, milky goodness within. Use it to gently scrub your skin. The basic formulation for a bath bomb is 2 parts baking soda to 1 part citric acid. This is how you get a nice fizz going on by combining the basic baking soda with the acidic citric acid. Then you need to add just enough liquid to make everything stick together without causing a fizzing reaction. I also like to add healing salts to the mix along with herbs and oils! Here is one of my favorite recipes, there is just enough orange to brighten up the cinnamon and play with the rose. First, mix all the dry ingredients together making sure to break up any lumps. Carefully add the oil and essential oils while stirring to limit any bubbling action in your bowl. Finally add the rose hydrosol (or whatever you are using) a bit at a time, again stirring while you go. I actually put the rose hydrosol in a spritzer bottle and spray it into the mixture a couple squirts at a time. Keep spraying and stirring until the mixture holds together when you squeeze it in your hand. Mold your bath bombs in whatever container you have on hand. Muffin tins work wonderfully, as do soap molds, plastic Christmas balls (the kind that pop open), and even Easter eggs. Need supplies for crafting your own herbal baths? This body scrub is dark, rich and nourishing for the skin. It smells like a delicious cookie with a hint of lovely flowers. I like to keep a little jar by the sink to smooth and cleanse my hands, easing away dry flaky skin. Of course it is wonderful as a full body scrub too! Assembling this scrub couldn’t be easier, just mix everything up together and put in a jar with a tight fitting lid. Please do not use on open sores and be careful in the tub when using as it makes things slippery! 1 ½ cup of oil. Because it is so stable, I like to use olive oil however it does have leave a slight odor once the oil is finished infusing. If you are concerned about that almond or apricot kernel are lovely alternative choices. Place your herbs including the scrapings from the vanilla bean and the vanilla itself into a clean, dry jar. Cover the herbs with oil and put on a with a tight fitting lid. Let your oil infuse in a dark place for 4 to 6 weeks. Or you can place it in the sun to capture all that amazing energy, this is my favorite method. If you are in a hurry you can place the jar in a warm water bath on your stovetop on in a crockpot. Heat on low for 4 to 8 hours. Once your oil is finished infusing, strain out the herbs and you are all set to go with a wonderfully fragrant, healing oil! These lotion bars are wonderfully moisturinzing making them a favorite for anyone who suffers with dry hands, heels or elbows during the winter time. There are a couple of different variations on the frangrances to choose from, the simplest is just cinnamon. Simple yet wonderful! This recipe makes about 4 small (2” diameter by ½” high) lotions bars. It can easily be doubled or quadrupled. Cinnamon Vanilla & Lavender Lotion Bars: Make as above and add 16 drops of lavender essential oil. Relaxing Cinnamon Lotion Bars: Make as above and add 8 drops of lavender essential oil plus 12 drops of cedarwood essential oil. Cinnamon Vanilla Flower Lotion Bars: Make as above and add 4 drops each of orange, rose geranium, lavender and ylang ylang essential oils. Melt everything together except for the essential oils in a double boiler. To set up a double boiler for this project you will need a jar, can or pan that is specifically used for projects with beeswax as beeswax is difficult to clean-up. Set the jar/can/pan inside another pan, add water to create to the outside pan. This will help the beeswax to melt slowly and preserve the integrity of the oils. Gently heat until the beeswax is just melted. Remove from the heat and add your essential oils, gently stir with a toothpick or spoon. Pour into molds. Soap molds and silicone baking cups make great molds. When the bars have hardened pop them out and enjoy! Want more herbie ways to enjoy cinnamon? 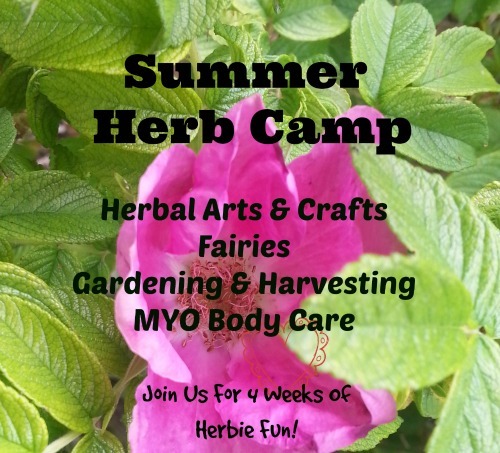 *Please Note: This post contains affiliate links to Mountain Rose Herbs and Natural Herbal Living Magazine. Please visit my affiliate page for more information about these wonderful companies. If you choose to use my affiliate link to purchase from them you will be supporting Mama Rosemary and all I do here. I will get a small percentage of your purchase however this does not in any way effect your purchase price. Thanks for supporting Mama Rosemary and happy herb crafting!